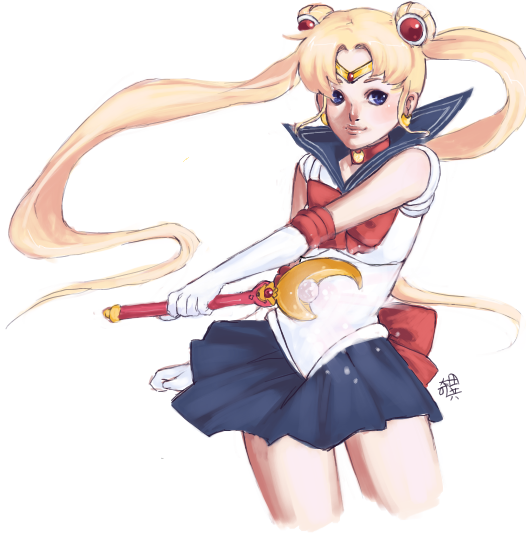 A fun drawing of sailor moon in my style. Reference used for the garish pink wand. this is a picture that makes me happy to be on this site!! This is a lovely piece. Your art style gives her a cuter feel than from how she's regularly drawn from the animation and manga. The hair looks wonderful since it's in movement and together. I also really love how you've colored the shading. I love that I can see the strokes and lines in them. :) Lovely. Looks great. I like it. Nice, I love the unique spin of style put in. Good job.